When I began my studies at Southeastern, there was a vague notion lingering in the back of my mind that one day I would like to teach in the college, seminary, or university. This notion drove me to begin evaluating each class I took in a new light. Not only was I seeking to master the material covered in that class, I was also learning the dos and don’ts of teaching. What is effective? What is not effective? What about the structure of the class was conducive to learning? What was not? etc. This week I learned something new. I will tentatively call it the trifecta. The trifecta describes the class dynamic and is composed, as I am sure you have already guessed, of three elements: The professor, the students, and the student. While these three elements are rather obvious, I think a little exposition is necessary. On what basis do I make this claim? I have two classes this semester. One in Greek and one in Hebrew. In Greek, the reading is extensive. 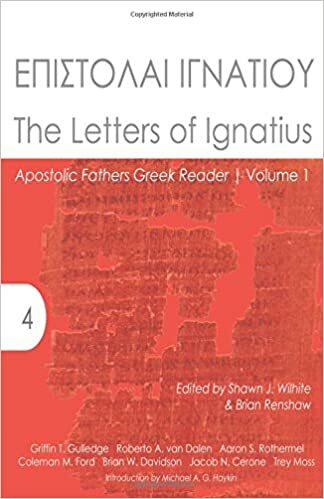 The first week we were given three articles to read and asked to read 800 pages in A. T. Robertson’s A Grammar of the Greek New Testament (to be completed the following week). Notice how I said, “asked.” Though the reading is, in the traditional sense, required, we are not graded on the reading in any capacity. No quizes, no tests, no summaries, no graded “did you complete the reading for this week?” Simply, “Read the first 800 pages in Robertson.” Though I might have privately grumbled about the extent of the assignment to my wife, I gladly did the reading (Sadly I only made it to page 700; though I will finish the rest this week on top of the reading for next week). For most classes, this would have been the first assignment to go. There is only so much that can be accomplished in a semester. With reading, tests, term papers, and general life, at some point, something has to give. Logically, the assignment that has the least impact to one’s grade will go first. For me, this has been a general practice. Cut loose the dead weight. It frees me to further myself in other areas. Instead of reading the material the professor isn’t going to grade, I can reinvest the time saved into doing more research for my term paper. That wasn’t true for this class. I wanted to read every word. The professor made it clear that the reading was valuable. The professor was inspired by the reading he was requiring. The professor vowed to re-read every word of the reading that he had required. He was not requiring something of his students that he was unwilling to do himself. And finally, the profesor, I like to think, inspires his students. At the very least, me. For that reason, I want to read anything that is pertinent to the class discussions. Second, the students. During my undergraduate and MDiv degrees, I took a rather reclusive approach to school. I came in, I listened to the lecture, I did my work, I kept my head down, and I went home. Interaction with others in my classes was kept to a minimum. I could explain that this was a result of the “bubble effect” that was created by living on campus at a Bible college for four years. But that is getting away from the point. The point is that the students in the class are important. My Greek and Hebrew classes are filled with bright minds. This shapes the class in two ways. First, bright minds guide the class discussion. I have been in countless classes where students would intentionally derail the professor. Professors that are known to chase rabbit trails are exploited. Why would a student do this? The reasons are obvious: to escape the scheduled quiz, to divert the conversation away from the reading he didn’t accomplish, or because the student plain isn’t interested in the material. Second, bright minds serve in the place of the professor when he isn’t capable of always being there. That is to say, bright students, or inquisitive students, inspire you. I can honestly say that everyone in my Greek and Hebrew classes has something to bring to the discussion. As a matter of fact, I have talked with many before and after class about their areas of interest, their strengths, weaknesses, and what they hope to get out of the class. In short, iron sharpens iron. We are all models, for better or for worse. We can only pray that we are modeling good stewardship, good scholarship, and humility in all our endeavors. Finally, the student. The student must be humble. If the student comes to class thinking he knows more than the professor, he will not learn, will not be inspired, and will be stagnant. The student must also be interested in the subject of study, or at least be willing to be persuaded that the subject of study could be interesting. This element is difficult to separate from the professor. The professor has the potential to ruin a student’s interest. The professor also has the potential to inspire an uninterested student. Yet, I don’t think the professor has the ability to inspire the stubborn student. This is a matter of a attitude. The student must be willing to receive. Finally, the student must be willing to listen to his peers. The student must be humble enough to listen to them, to be driven by them, to be encouraged by them. Furthermore, the student must be willing to speak, to drive, and to encourage. I truly believe this will be a great semester for me because I truly believe both of my classes are characterized by the Trifecta! Feel free to hit me up in the comments section if you have anything to add to the Trifecta. This entry was posted in Biblical Studies, Exegesis, Greek, Hebrew, Teaching. Bookmark the permalink. Wonderful insights, Jacob. Keep it up!